Newlands Gideon’s pedigree contains the Purple Line (Yarraman Park George, Sean of Leam, Carna Dun) and the Red Line (Exmoor Quicksilver, Atlantic Sentinel, Macdara, Connemara Boy). He also has the Green Line on is dam’s side (Inis O’Hara, Thunderbolt, Mountain Lad) . He consistently throws solid offspring with plenty of bone and passes along his excellent temperament and easy going nature. We were very very lucky to find Newlands Gideon for sale when we did. We had no hesitation to purchase this fine stallion when we found him. He has a very strong and solid build true to the Connemara type. 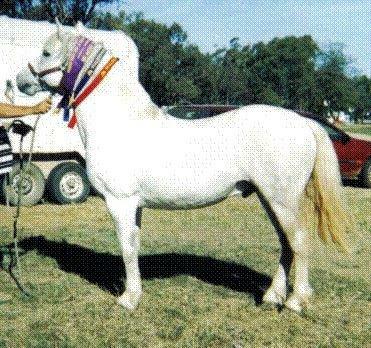 He was the first stallion purchased by Dylanglen Stud after losing Glenormiston Rossmore a few years before, suspected snake bite. The stud “took a break” for a while after this happened. 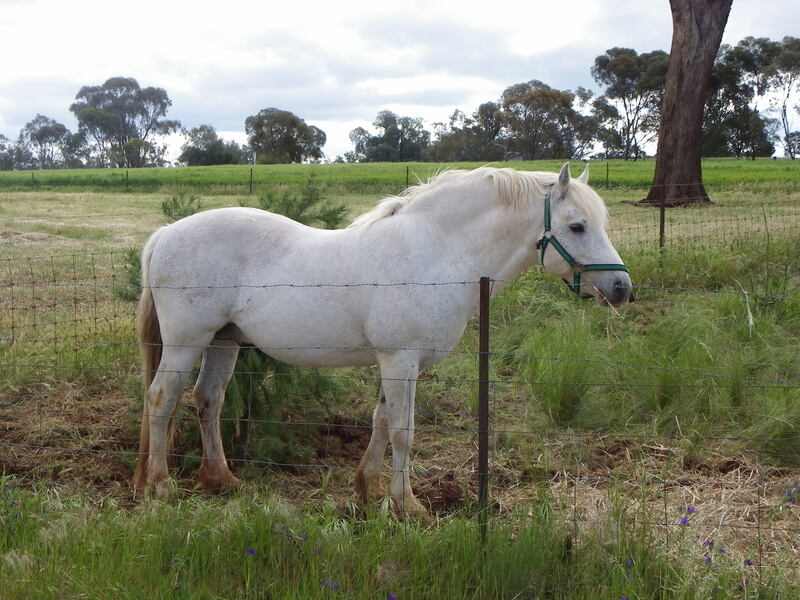 You could say that Giddy is the foundation stallion of the Dylanglen Connemara Stud re-vamped. He was a particularly exciting purchase for Dylanglen Stud back in 2005 because he is a great grand-son of no other than Glenormiston McInnerney Muskerry (IMP in Dam) our foundation Connemara stallion. We were so excited to find and purchase a stallion that is so closely related to McInnerney and a stallion that throws the same bone that McInnerney did. 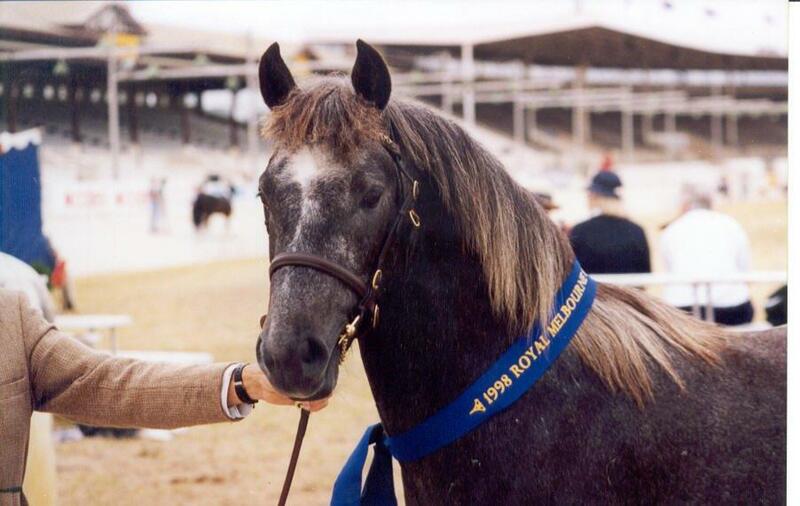 His grand father, Exmoor Quicksilver, is a Connemara Pony that Dylanglen Stud has owned in the past, so we are more than familiar with the nature of Quicksilver. On his dam side his great grandfather is Coomel Kestral (sire Inis O’Hara out of Thunderbolt), another solid pony true to the Connemara type. He has no Abbeyleix Finbar, no Domo Cavallo Praize, no Oxenholm Gideon, and no Castle Baron in his pedigree which makes him a great out-breeder for our Stud. Newlands Gideon is the sire of our Dylanglen Shadow. He was chosen to go with Curraglen Whisper (Sire: Homevale Quantas, Dam: Tyn-Y-Rhos Ele) in order to preserve her bloodlines the best that we can. It was a god-send that they produced a filly foal for us. Dylanglen Shadow is also free of Abbeyleix Finbar, Domo Cavallo Praize, Oxenholm Gideon, and Castle Baron. Giddy is now a grand-father thanks to our fillies by Dylanglen Shadow. All with good solid bone and gentle temperaments. This man has a very gentle nature. Giddy can share the fence line with mares without destroying the place and he will take care of the young colts at the Stud as well. 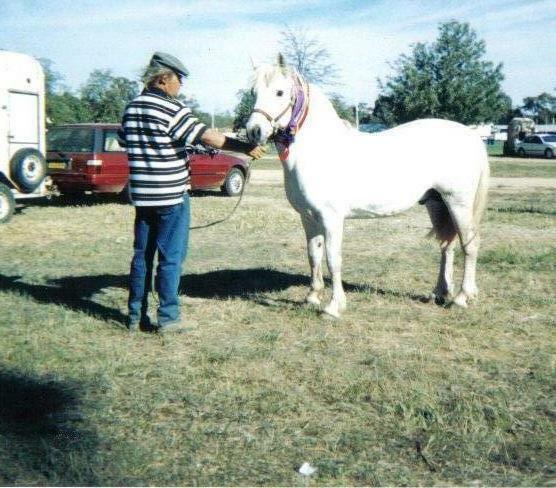 Giddy can be handled by anyone in the stud, even those less experienced with stallions, and he has a personality and temperament that cannot be replaced. Giddy will remain at Dylanglen Stud chatting up our mares until he retires.